Under the promotion, you can get either a Spicy Chicken, Crispy Fish, or Checker/Rallyburger plus a small drinks, small fry, and apple pie (deep-fried!) for a cool $3. 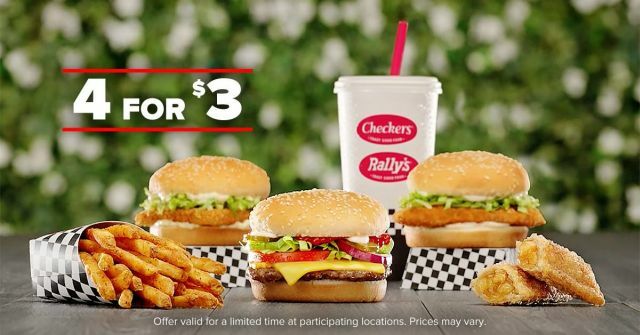 It'll be interesting to see if any other fast food chain tries to offer 3 or more items at the $3 price point. The 4 for $3 deal is available for a limited time only at participating restaurants.